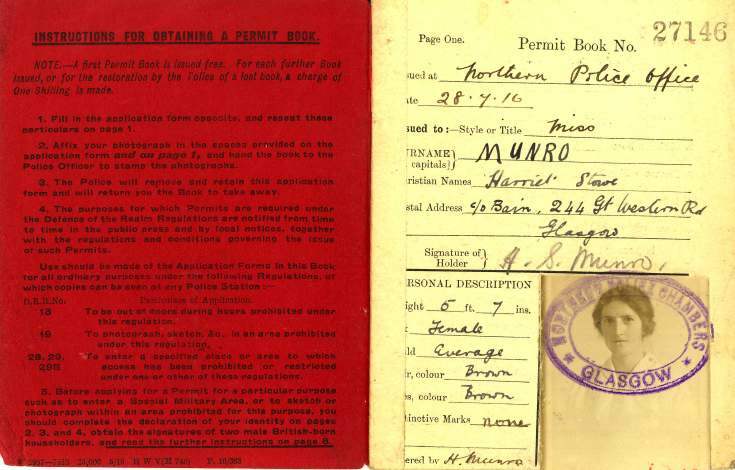 WW1 permit book for Harriet Munro. Contains family information and permits for travelling into North Scotland military area. 16 pages stapled in red covers. Donor was her niece.